Bulgaria used family-style care centers to remove children with disabilities from state institutions. UNICEF says the Bulgarian orphanage population dropped from about 7,500 in 2010, to fewer than 1,200 children today. Across the Black Sea, Georgia has had even more success. It reduced the number of state-run orphanages from 50 to two. The number of orphans dropped also, from 5,000 in 2005 to about 75 now, UNICEF says. However, Romania has made the largest improvement. The European Union has provided millions of dollars in aid to support Romanian child-welfare reforms. Private aid agencies like Hope and Homes for Children have helped place children with foster families or smaller homes where they experience a more usual childhood. Bulgaria remains one of the poorest countries not only in the EU but also in the Balkans. Some parents cannot even afford to provide proper nourishment for their children. Furthermore, food deficiencies, which hit youngsters hardest, prevent children from growing up into healthy young adults. Romany (Gipsy) communities are mostly affected by poverty. Their children are often required to work in order to make ends meet. With unemployment at over 80% for this minority, the adults suffer greatly from discrimination in the workplace. In turn, this affects the children since their unemployed parents cannot provide for them at a basic level. Many steps have been taken to implement children’s rights and respond to the needs of those most at risk on the streets. There have been campaigns to increase public awareness and improved public understanding of the situation. Today, between 2,500 and 4,000 children are still sleeping rough. These are mostly Romany children finding shelter in Bulgaria’s larger cities. Besides the fact that these children are particularly vulnerable to trafficking and economic or sexual exploitation, they live their day to day lives in horrific conditions. Lack of caring adults and a lack of food are just some of the realities faced by street children. Orphans: An estimated 153 million children worldwide are orphans (UNICEF). Child Labor: Worldwide, there are 168 million child laborers, accounting for almost 11% of children (ILO). 263 million children and youth are out of school (UNESCO). An estimated 61 million primary-school-age children are out of school; 53% of them are girls (UNICEF). In 2017, 75% of malnourished children lived in less developed regions (WHO). Nearly half of all deaths in children under the age of 5 can be attributed to undernutrition, resulting in the unnecessary loss of about 3 million young lives a year (UNICEF). 66 million primary-school-age children attend classes hungry across the developing world, with 23 million in Africa alone (WHO). In 2017, 15,000 children under the age of 5 died every day, that’s equivalent to 1 child every 17 seconds (WHO). Leading causes of death in under-5 year old are birth complications, pneumonia, birth asphyxia, diarrhea and malaria. About 45% of child death are linked to malnutrition (WHO). 2.7 million children die every year in the first month of life, and a similar number are stillborn (WHO). Poverty: Children represent roughly a third of the world’s population but account for almost half of all people living in extreme poverty (UNICEF). An unprecedented 68.5 million people have been forced from their homes. Among them are nearly 25.4 million refugees, over half of whom are children (UNICEF). 10,000 unaccompanied migrant children are missing in Europe (Europol). There are over 250 million children living in countries affected by conflict (UNICEF). 1 in 4 of the world’s children live in a conflict or disaster zone (UNICEF). 20 people are forced to flee from their homes every minute (UNHCR). Explore the intersection of Bible and technology at this year’s BibleTechconference, coming to Seattle on April 11–12, 2019. Alexa, What Does the Bible Say . . . ? by Peter Venable — What does Cortana have to do with Eden? If you’ve ever wanted to ask Siri for recent scholarship about the hypostatic union—or if you’re not sure why you’d want to do that—this is the presentation for you. In this talk, Peter Venable will talk about using conversational interfaces like these in Bible study or research. Venable asks of these tools: Is it a gimmick or a necessity? The CLEAR Approach to Bible Translation by Andi Wu and Randall Tan — Statistics show 1 billion people don’t have a complete Bible in their everyday language. That’s over 2,000 languages that need a Bible translation—one that doesn’t sacrifice quality. Andi Wu and Randall Tan of the Global Bible Initiative will present an innovative drafting tool for Bible translation, making it possible to create new Bible translations quickly and accurately. Visualizing Textual Critical Data for English-Speaking Laypersons by Mark Ward — What if the best way to understand textual critical data is not by focusing on differences in the Greek New Testament texts? What can we learn by looking at the texts’ similarities instead? In this presentation, Mark Ward reveals his new project—a unique visualization of Greek New Testament textual critical data. See the complete list of topics and speakers at Faithlife.com/bible-tech. 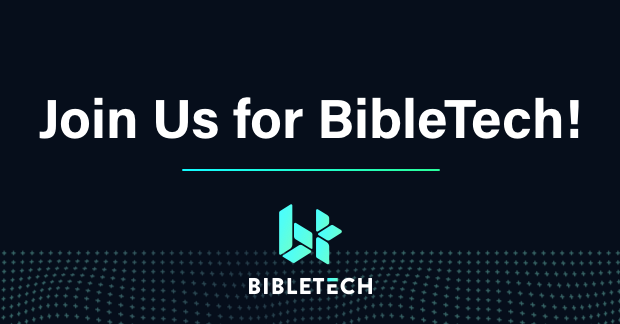 Join us on April 11–12 in Seattle, WA, for BibleTech! Register now. A one time tax amnesty would be given to various confessions for prior debt toward the Bulgarian state. In the case of the Muslim confession, this one time amnesty has been calculated at $8,000,000. 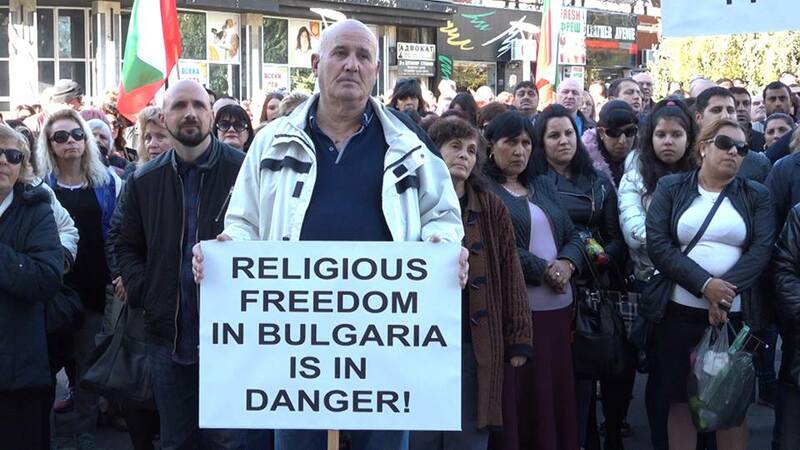 The amnesty amount for the Eastern Orthodox Church is yet to be calculated due to the thousands of churches and monasteries they occupy across the country. These are just a few of the changes being proposed currently. More will follow as the bill goes for discussion on the Parliament floor. But one thing jumps out from the text that is worth mentioning. The large government “stipend” is designated to the “Orthodox and Muslim confession” (singular). Such in Bulgaria does not exist. Yet! If the authors wanted to indicate two separate religions, just like in the English language more so by Bulgarian grammar rules, they should have used the plural confession(s). The phrase is repeated several times in the document eliminating the possibility of a grammatical error or a simple typo. If the new bill purpose to merge Orthodoxy and Islam under the same state budget will become clear soon.